Sufficient fresh water; universal access to cleaner energy; the ability to travel efficiently from one point to another; a sense of safety and security: these are the kinds of promises modern cities must fulfil if they are to stay competitive and provide a decent quality of life to their citizens. Building a Smart City is highly complex. Every city faces its own challenges and requires its own mix of solutions. However, there is one common denominator that greatly simplifies this task. International Standards support the development of tailor-made solutions that can be adapted to the particular circumstances of a given city. They contain expert knowledge and best practices, and are essential enablers in ensuring quality and performance of products and services. In addition, they drive compatibility between technologies and help users to compare and choose the best solution available. Standards also open the door to a larger choice of products and services. They help increase competition and foster innovation. In a systems approach they enable the integration of structures or solutions from different suppliers. International Standards make things work safely and smoothly together at every level in cities. They provide the foundation for electricity access and all the many devices and systems that use electricity and contain electronics. They support the information and communication technologies that enable data collection, exchange and analysis, and information security. Last but not least they provide important guidance for all aspects of city life, including energy-efficient buildings, intelligent transportation, improved waste management, building sustainable communities and much, much more. With Standards, we can make our cities smarter, step by step. Individual islands of smartness can grow together and interconnect. It is comforting to know that International Standards will support smooth and integrated Smart City development. IEC, ISO and ITU are happy to announce Gabriel Hernández from Mexico is winner of the World Standards Day 2017 video competition. 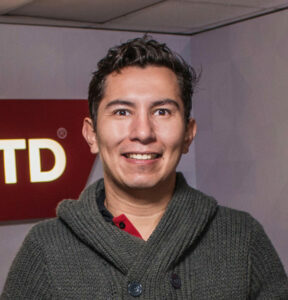 Hernández, who lives in Guadalajara, Mexico is passionate about technology and innovation. With a background in engineering in multimedia communications, he currently leads the multimedia team of a certification body. After attending some conventions where he learned about smart cities, a topic of great interest to him, he decided to participate in the video competition. In his video, Hernández used a wide shot and drone footage, to show key features of a smart city. This particular format, he says “makes it easy for viewers to quickly understand how smart cities work”. Hernández will receive 1 500 Swiss francs and his video, along with the winning poster, will be used to promote World Standards Day 2017. Congratulations to Reza Rahimian, winner of the 2017 World Standards Day poster contest! A total of 102 posters were submitted this year, of which nine were selected by the organizers to go up for public voting. 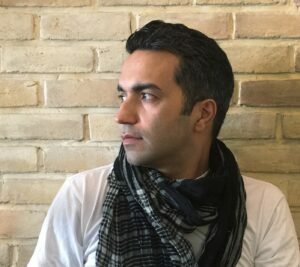 Rahiminian, who lives in Tehran, Iran, is an art director and advertising consultant. He holds a BA in Industrial Design from the Azad University College of Art and Architecture, and began his career as a graphic, web and industrial designer. After hearing about the poster contest via the Institute of Standards and Industrial research of Iran (ISIRI), Rahimian went to work researching an element to represent intelligence (the brain) which he could mix with city symbols in order to come up with an original design that would illustrate the 2017 World Standards Day theme ‘Standards make cities smarter’. Of the final design he says he decided on “a combination of interwoven lines in the brain as a recognizable symbol of intelligence, and a dense city map”. Added to that is “the use of the square as an accurate, stable, standard geometric shape and two complementary colours to provide a sense of perfection”. His poster will be used worldwide to celebrate World Standards Day on 14 October 2017.